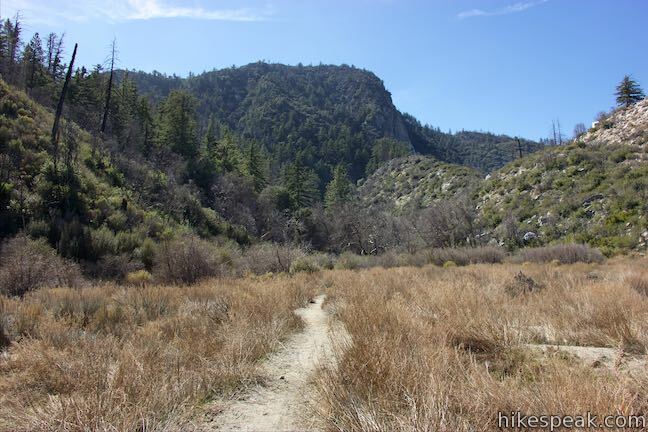 Come along this berry fun hike to Strawberry Peak with professor Mike Habib! Starting from Red Box Picnic Area, we will begin out 7.5 mile hike on a ridge and eventually through remote and green vistas. The mountain is 6,164 ft tall and we will be facing an elevation change of 1,510 ft, so come ready for a good workout! Along the hike we will be seeing some nice views of Mt. Wilson, Josephine Peak, and Mt. Lawlor. SCENERY: Rolling hills, greenery, and a meadow! FUN FACT: Strawberry peak holds the highest summit on the front range of the San Gabriel Mountains. Mike works for his living on “flying murder heads” (as he calls them) aka pterosaurs and leads paleontology field excavations during the summer. He is a professor at the Keck School of Medicine for anatomical sciences, lecturing both graduate and undergraduate students and running cadaver labs. Not only was he named the “Brilliant 10” in 2014 by Popular Science Magazine, but he also has been consulted for multiple documentaries, movies, and court cases. His work has been featured in National Geographic and also involves researching the largest land animal to ever live in North America. He also happens to enjoy hiking which is why we get to spend a day with him hiking up Strawberry Peak!